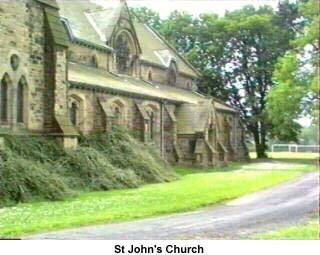 As with all Victorian Institutions of the day, religion played a great part and, it was to this end that a Church was built within the grounds and was named St John’s. The contract for the erection of a Church and a Chaplain’s house was awarded in September 1871, estimated costings being £4,632.00 and £1,579. 8s 2d respectively. The house was subsequently not erected at the time and when it was the cost had risen to £2,000! An organ was purchased and installed in the Church at a cost of £250 and arrangements were made to provide heating by means of hot water, heated by gas. 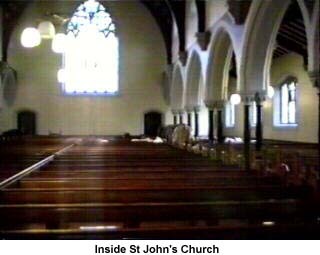 St John’s Church was Church of England, and provision for Roman Catholics was made in a room set aside in one of the wards. In June 1875 the Church was licensed by the Bishop of Manchester. The first hospital chaplain was the Rev W T Palmour. The Asylum cemetery was consecrated in 1895, again by the Bishop of Manchester and the chaplain was subsequently awarded 2/6d for each burial service performed. Some difficulty had arisen in 1870 between the visiting Magistrate and the Vicar and Churchwardens of St Mary’s Church in Goosnargh. The Church were anxious to limit the number of burials in Goosnargh cemetery to those members of families already buried there. 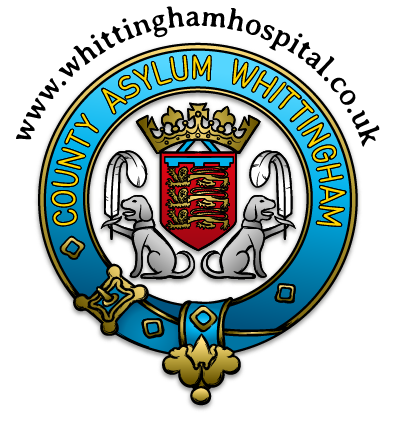 From what information (to date) we have been able to obtain, it would appear a facture had occured in relations with the hospital and the village. The Committee of Visitors stated that they had no intention of providing a separate burial ground for the insane! However, whatever the outcome, a cemetery was created within the hospital grounds next to St John’s Church. Basically this was divided into two halves, one for people who could afford to bury their dead and the other half as a Pauper’s Cemetery. As newly recruited staff, the authors both visited the cemetery and have various memories of the layout and graves. There are five War Graves in the cemetery, four from the First World War and one from the Second. The last Chaplain in post, the Rev S Timbrell, made a point of burying the last few patients to be interred there in each corner of the cemetery. Alas, this, it would appear was a wasted gesture. At our last visit to the site, there was no way of identifying where any graves other than the War Graves were! The only indication is that the name plates from the individual graves have been gather together and placed on a pile of stones. The cemetery is virutally unrecognisable and is now listed as being “grassed over”; there is no evidence of the Pauper’s cemetery at all! St John’s Church is the only building on the entire site to be ‘listed’, and has Grade II listed status, contrary to the belief of many people who worked there thinking that St Luke’s frontage and the Ballroom had preservation orders on them – they do not!